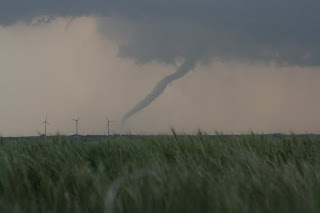 From “Twister” to “The Wizard of Oz,” there have been many movies that feature the whirling tornado. But how much do we know about this fast and furious force of nature? Join in as we discover the ins and outs of the tornado. Tornadoes are born out of a powerful thunderstorm (a storm with thunder and lightening), called a supercell. A supercell can last longer than a normal thunderstorm. The same trait that’s responsible for the storm’s longer duration also creates most tornadoes. Wind coming into the storm starts to swirl and forms a funnel. The air inside the funnel spins so fast it pulls in more air—and objects. The funnel begins to act like a vacuum cleaner, sucking up everything in its path. Click here to see how tornadoes form! Tornadoes occur most frequently in the United States, with an average of 800 reported each year. They require an unstable atmosphere and form where cold dry polar air meets warm moist tropical air. This occurs most often in the Great Plains of the United States, which is why it’s called Tornado Alley. Tornadoes come in all shapes and sizes, and can happen at any time. It’s their quick formation that can make them especially dangerous. Tornadoes are rated on a scale of 0 to 5. Tornadoes can be deadly. Some can have winds over 300 miles an hour—that’s enough to lift houses off the ground and bark off the trees! Tornadoes can damage an area one mile wide and 50 miles long. 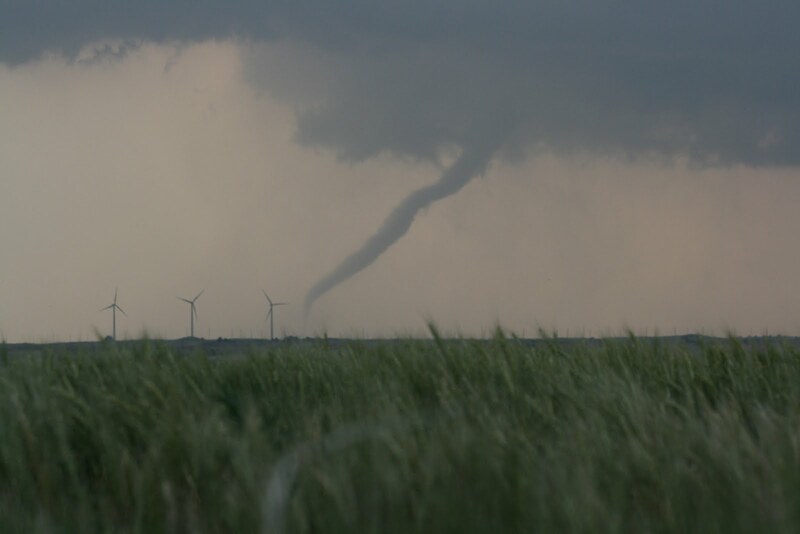 While tornadoes can happen at any time of the year, they typically occur from March-August. The air pressure is very low inside the funnel, just like pressure is low inside the eye of a hurricane. Only in a tornado, the pressure is a lot lower—lower than any other place on earth. Tornado Watch—Tornadoes are possible. Stay tuned to the radio or television news. Tornado Warning—A tornado has been sighted. Take shelter immediately! Now that you know a little more about tornadoes, go make one in a jar. Click to find out how!